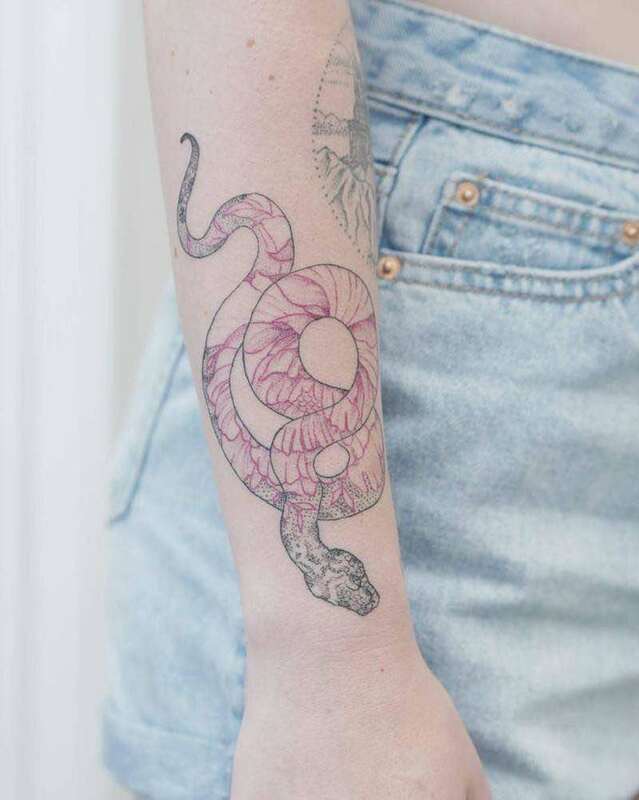 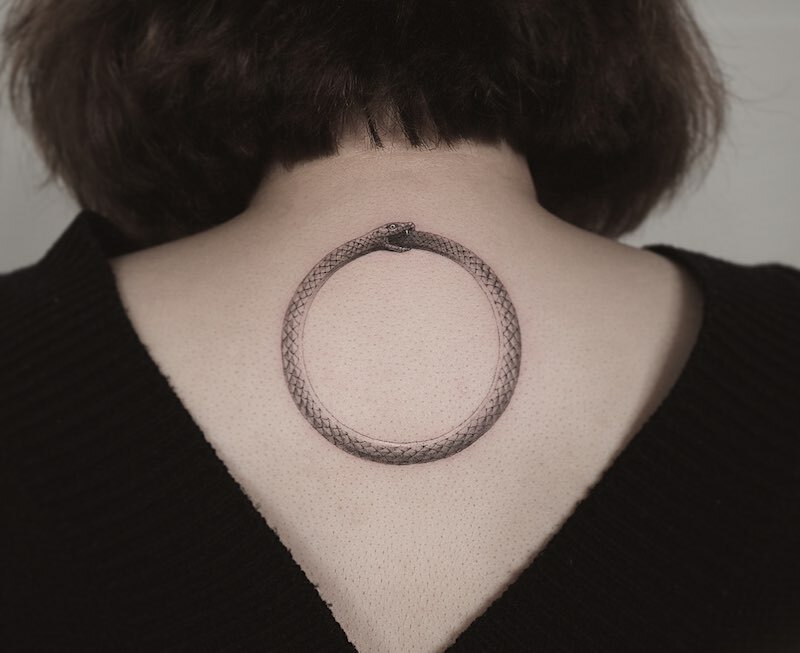 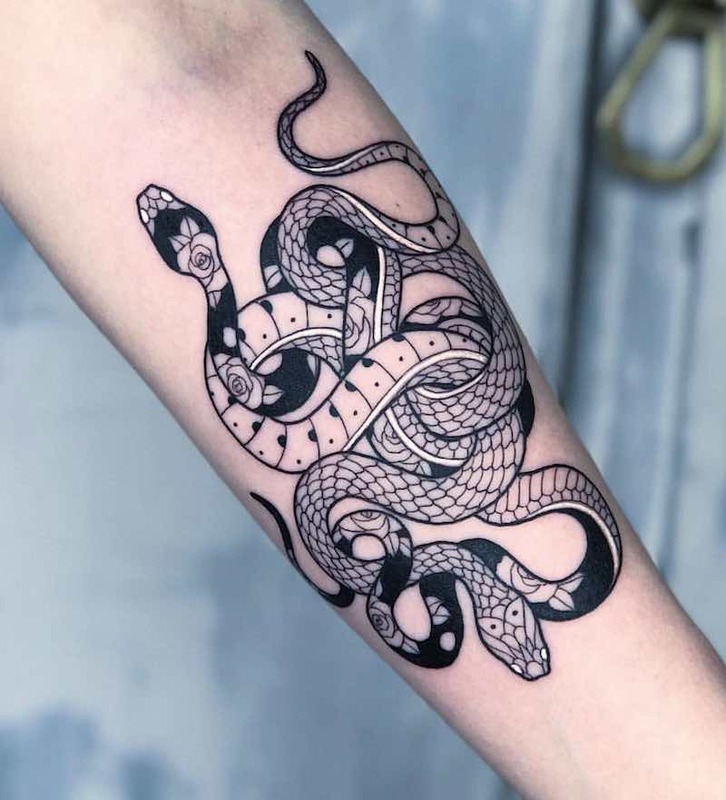 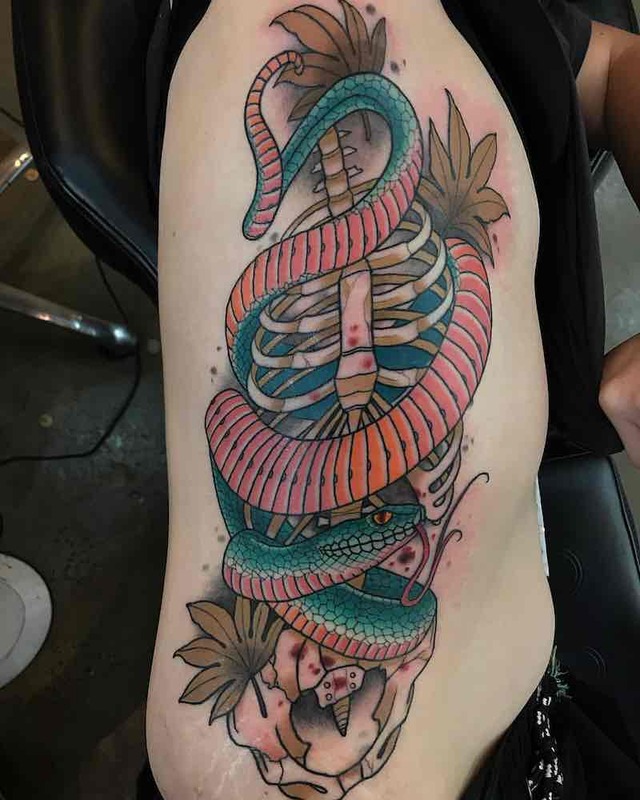 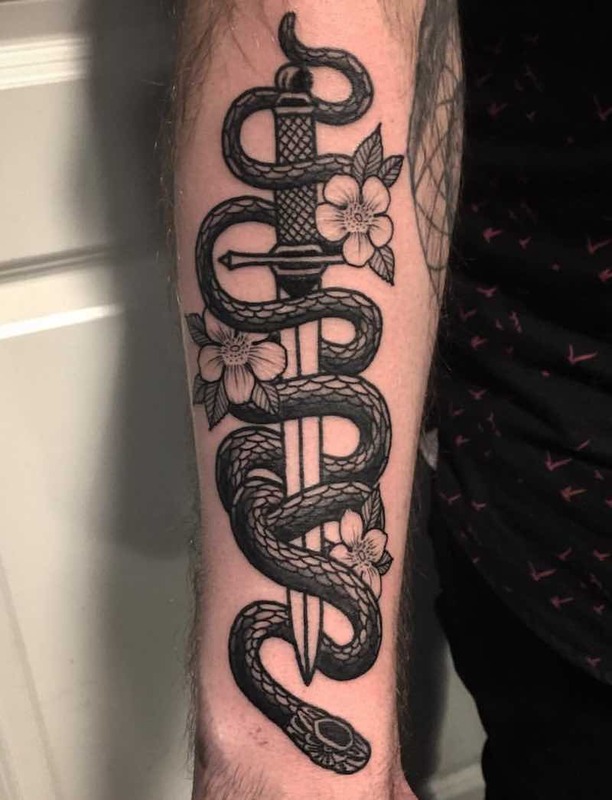 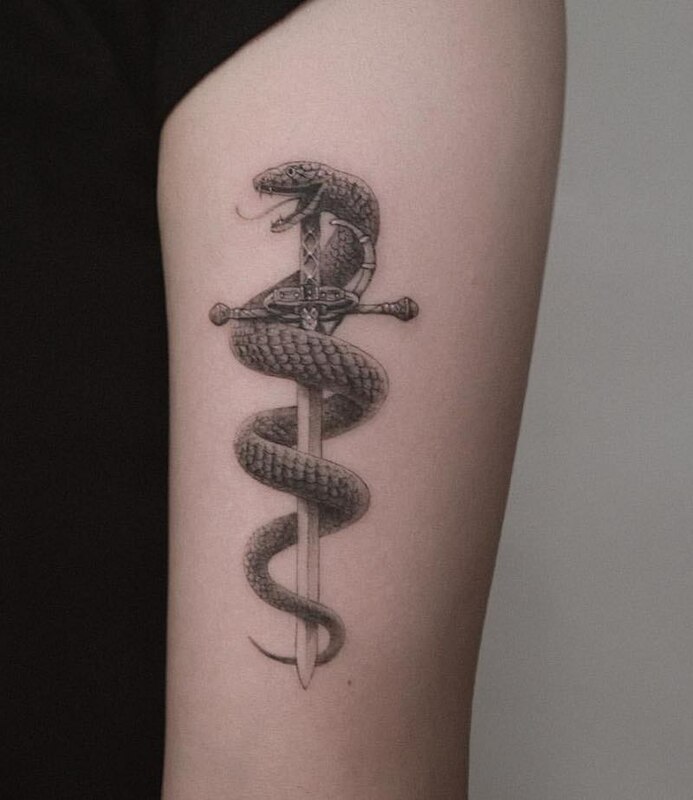 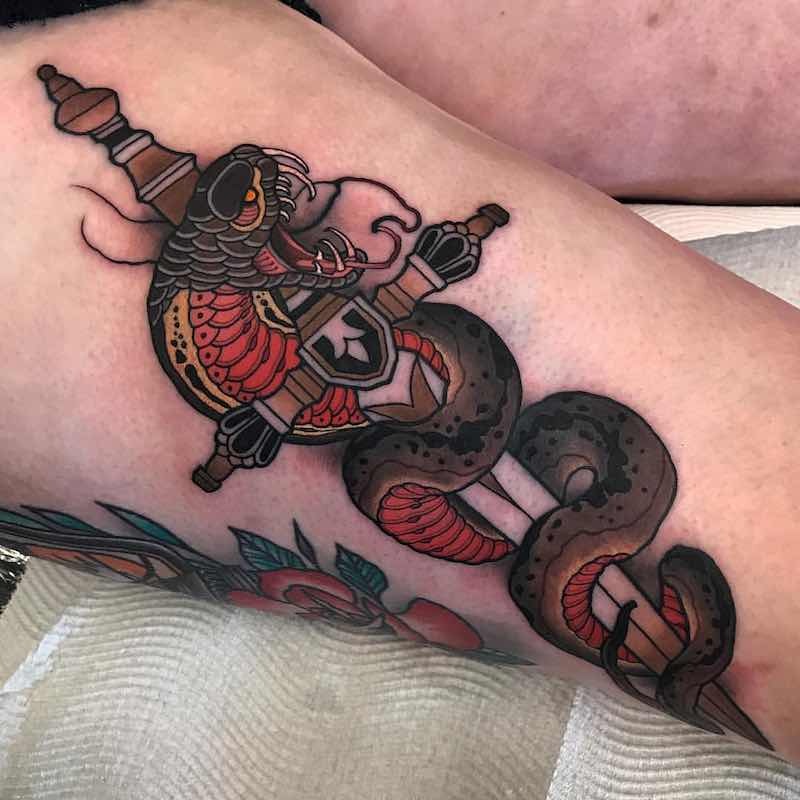 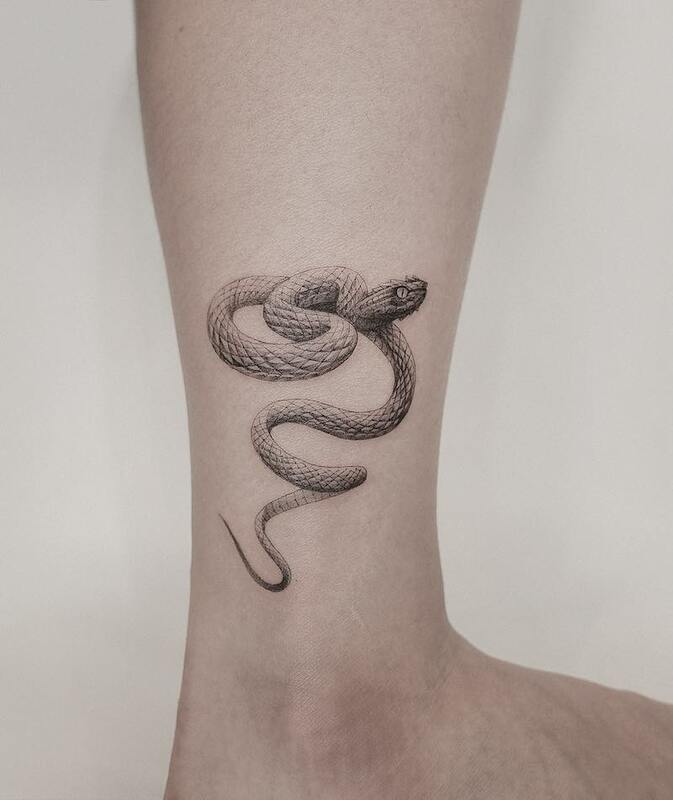 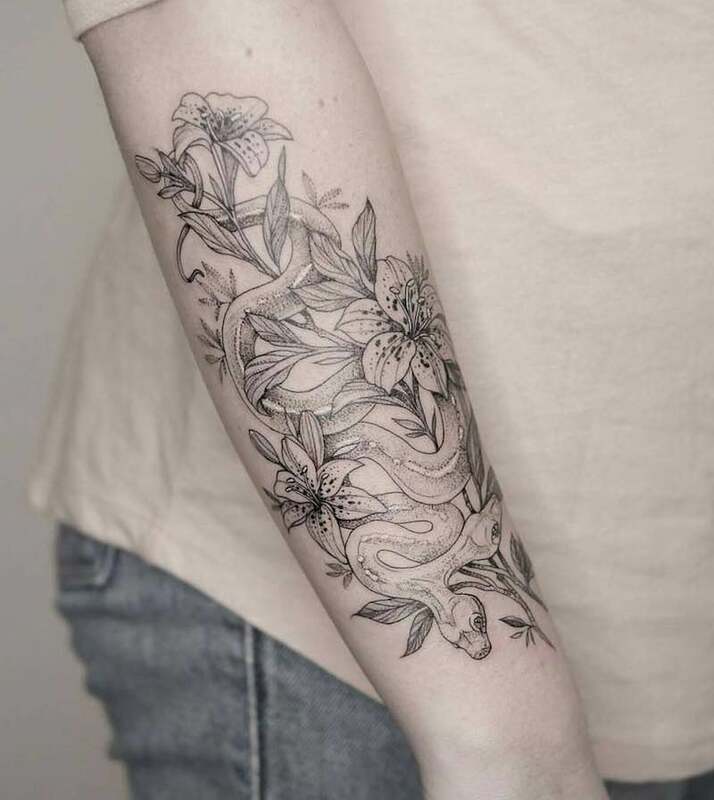 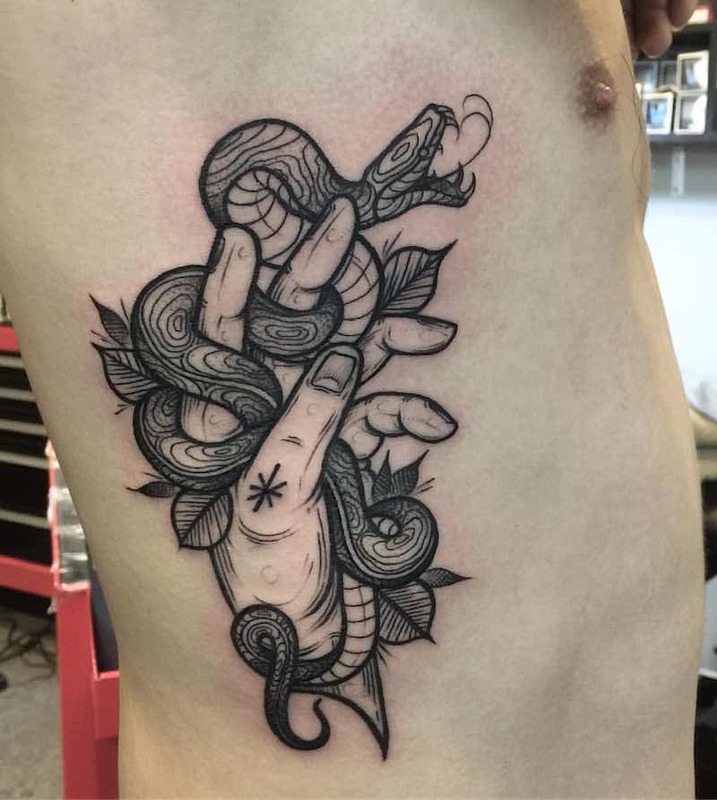 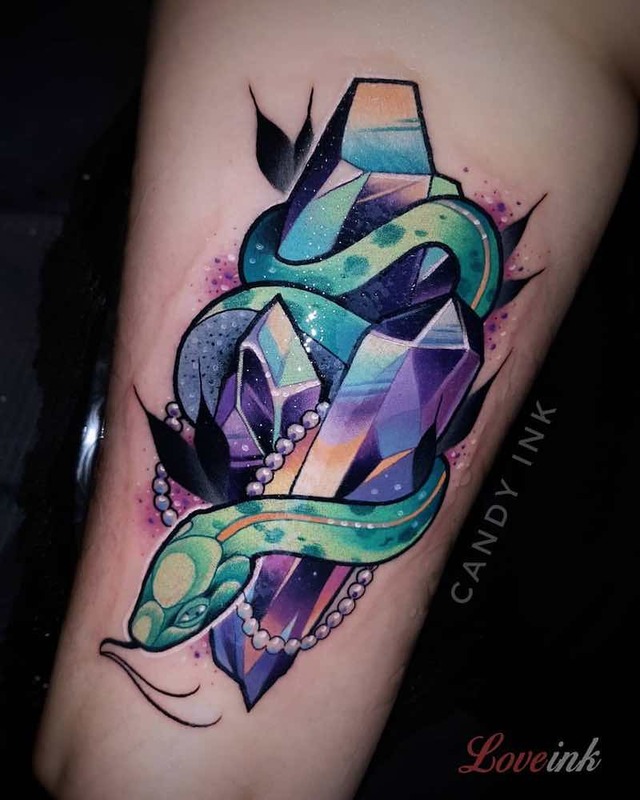 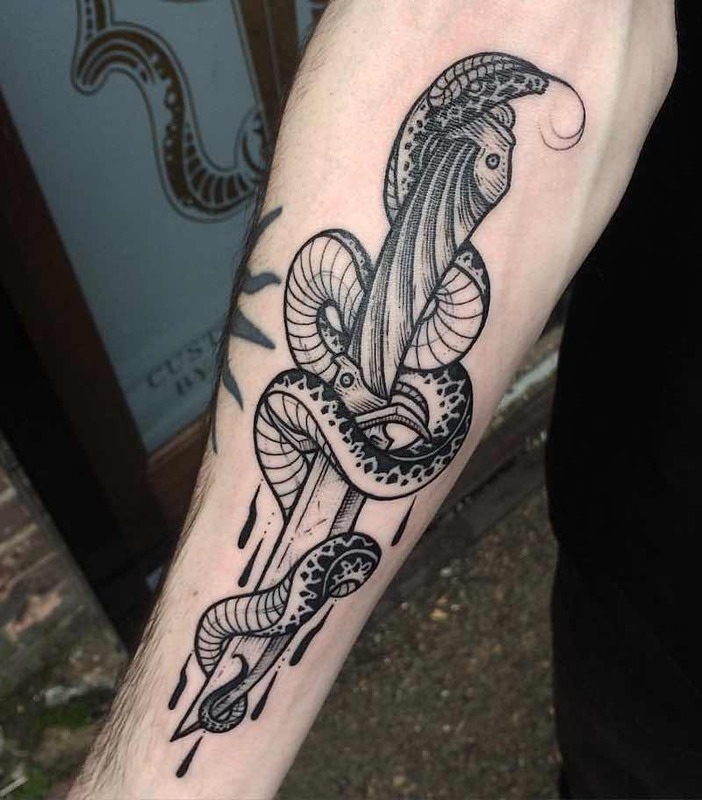 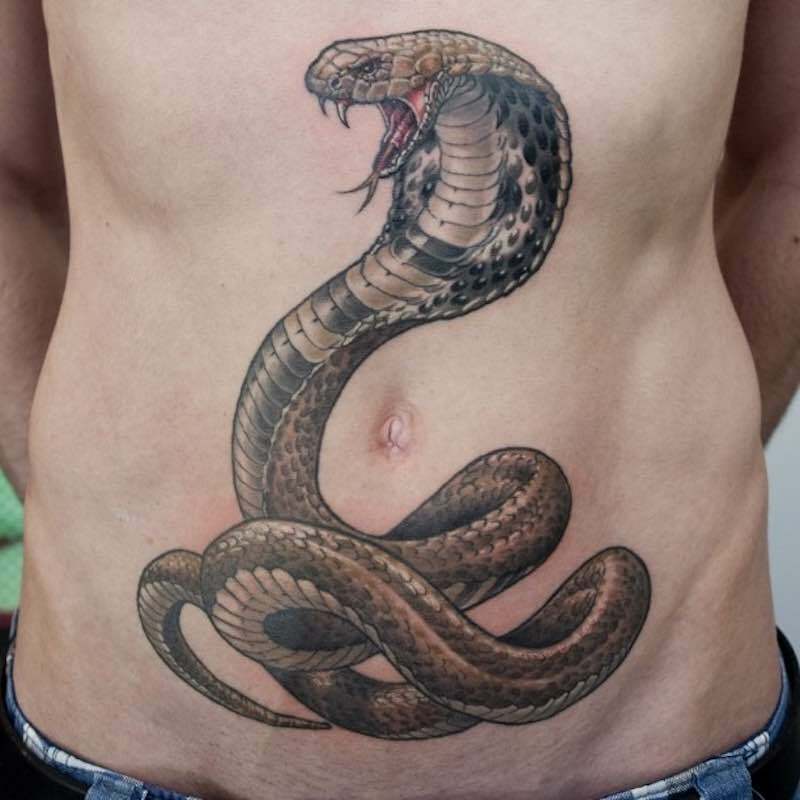 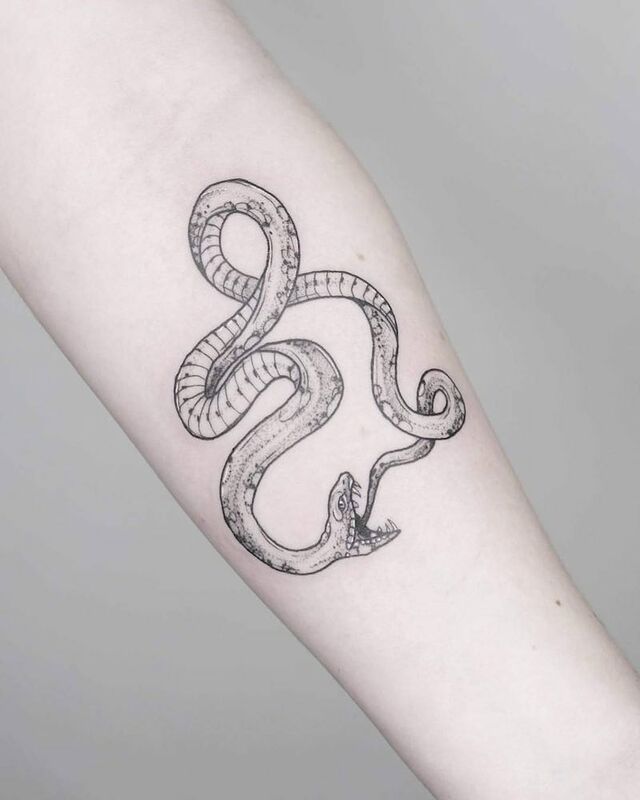 A snake tattoo with its versatile shape can be designed in many different ways and can be as small as a finger tattoo to an entire back piece. 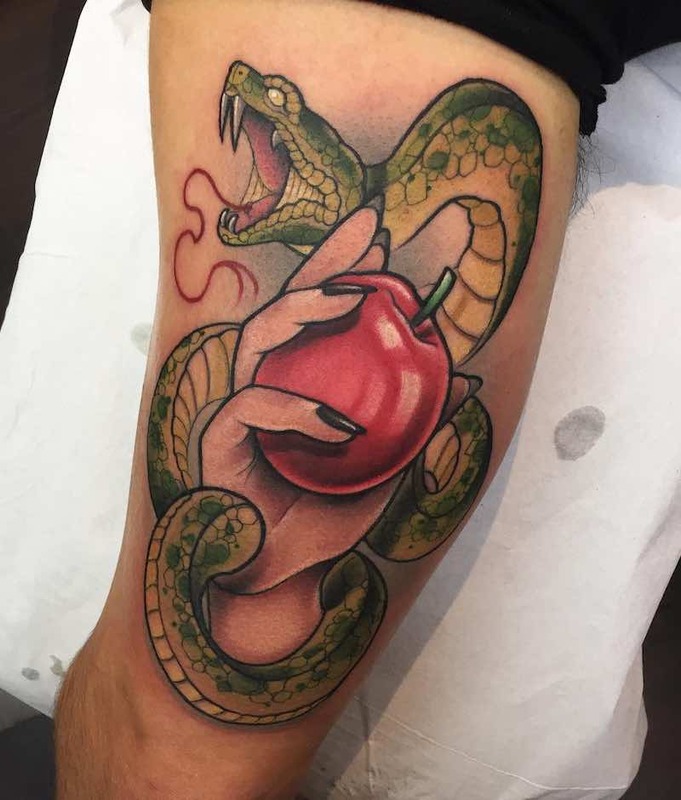 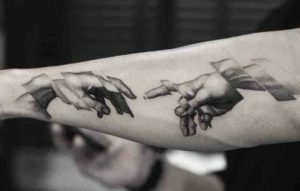 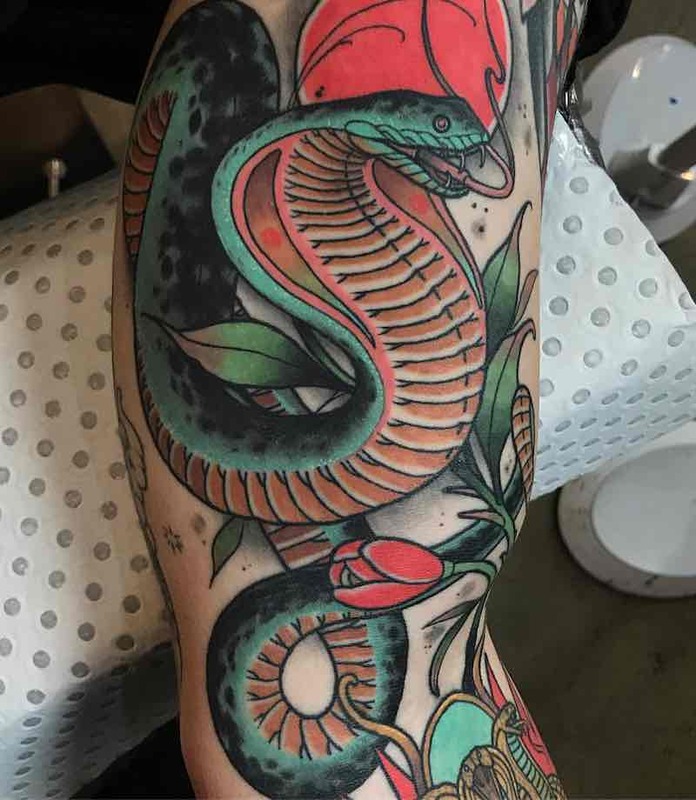 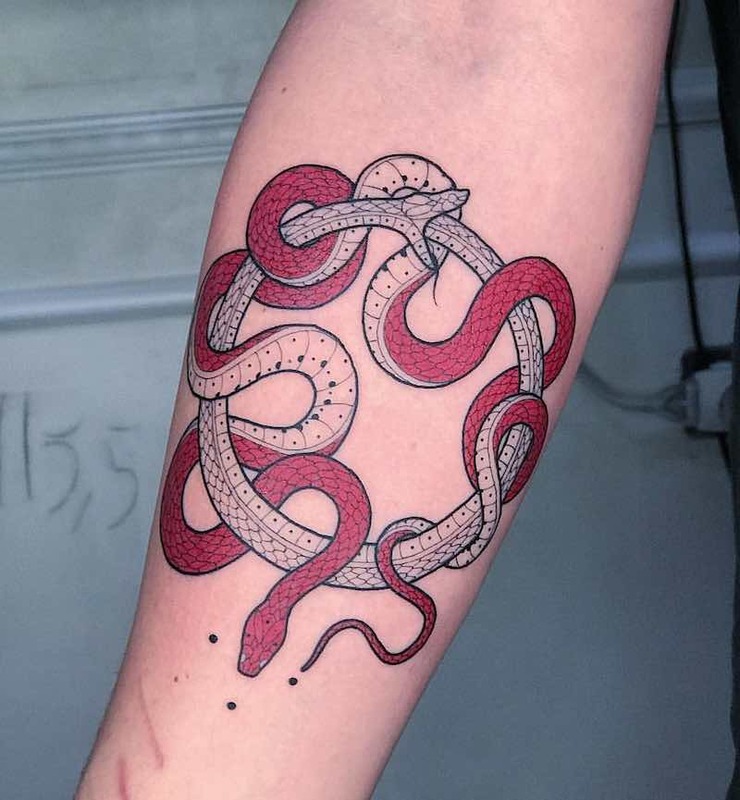 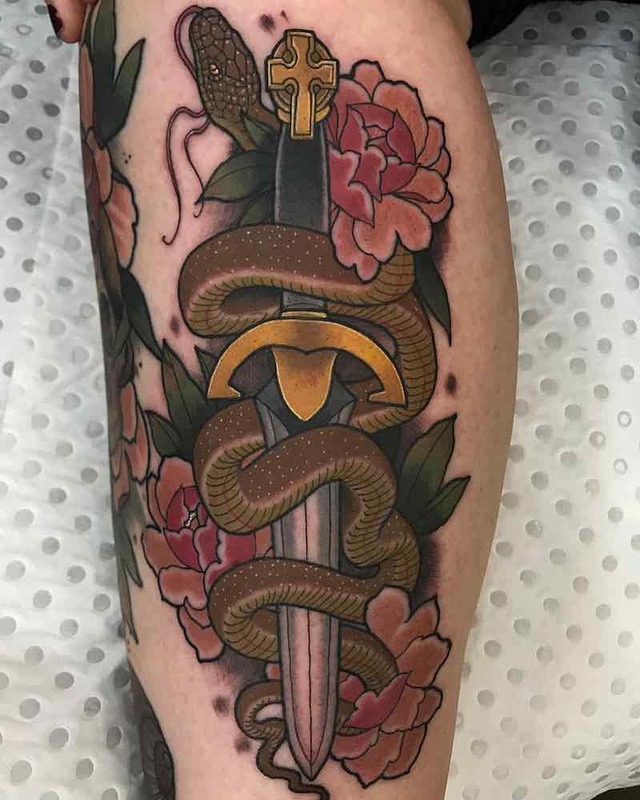 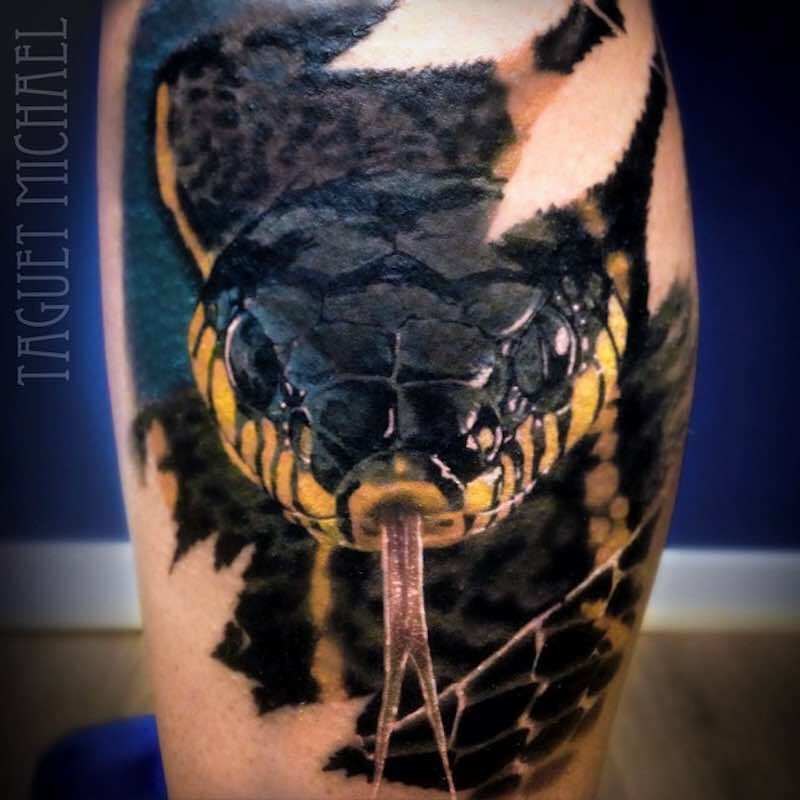 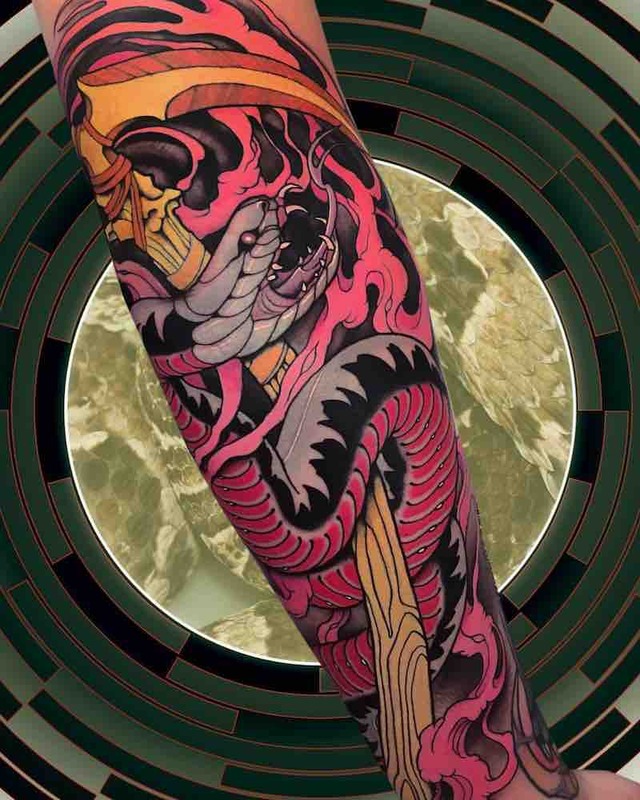 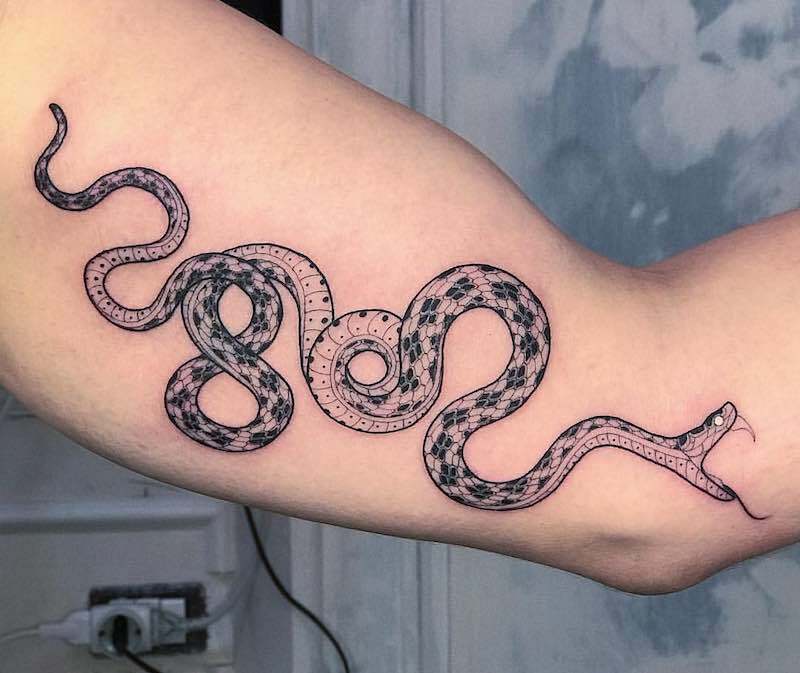 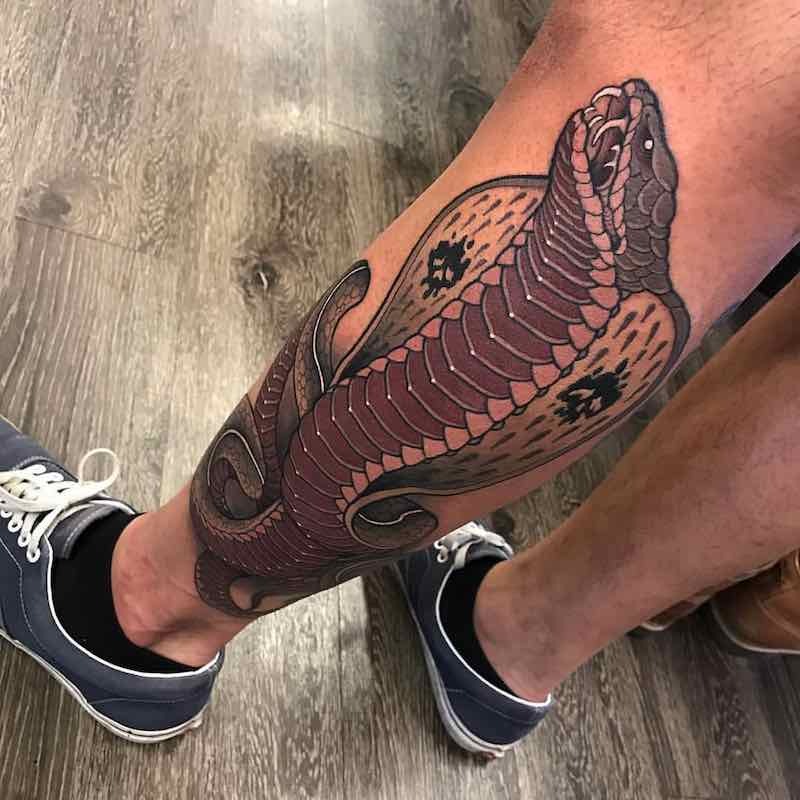 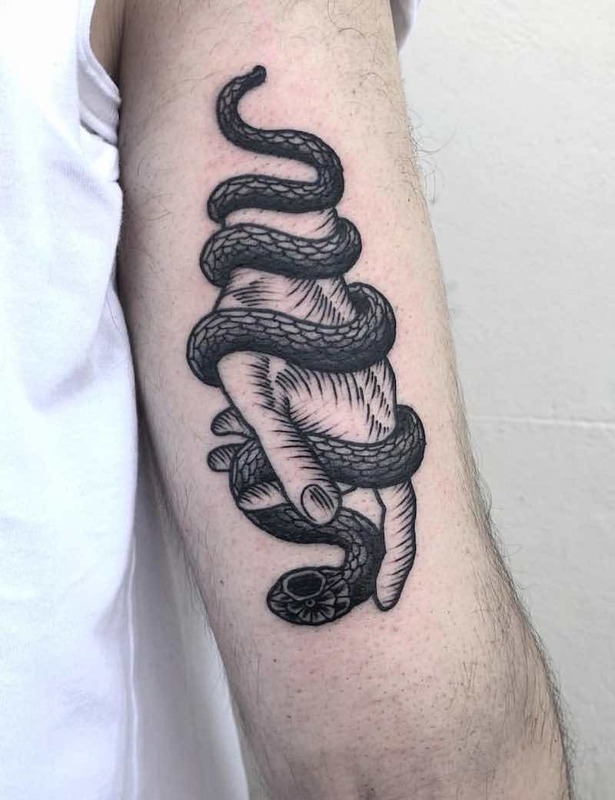 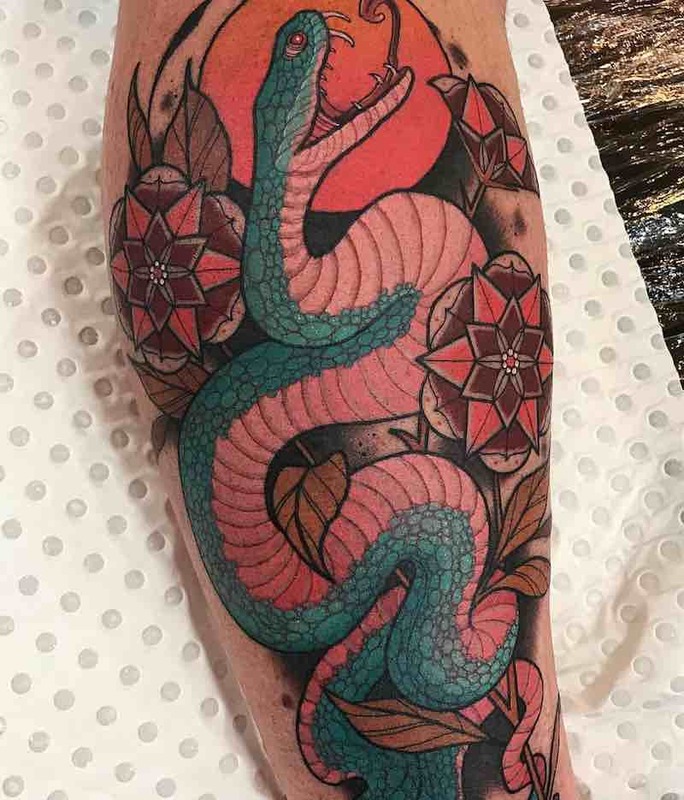 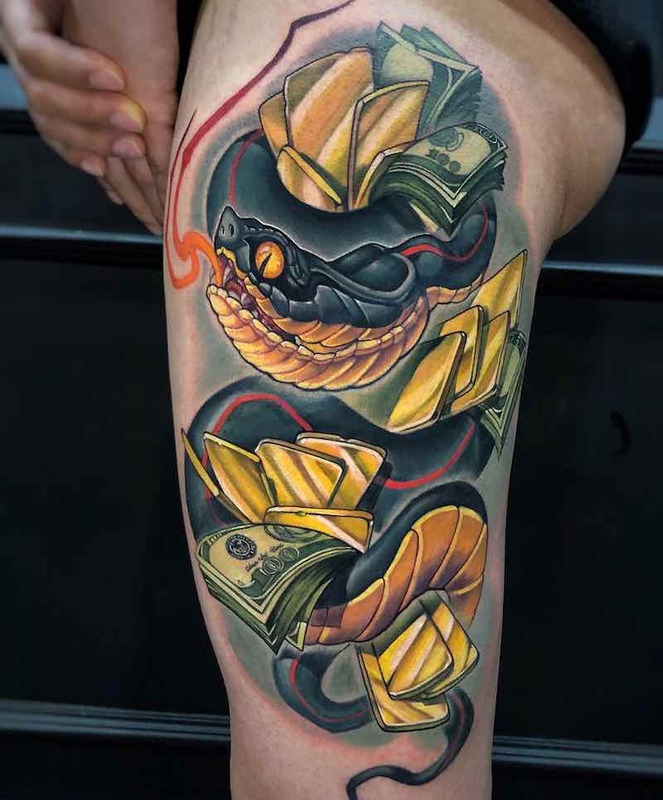 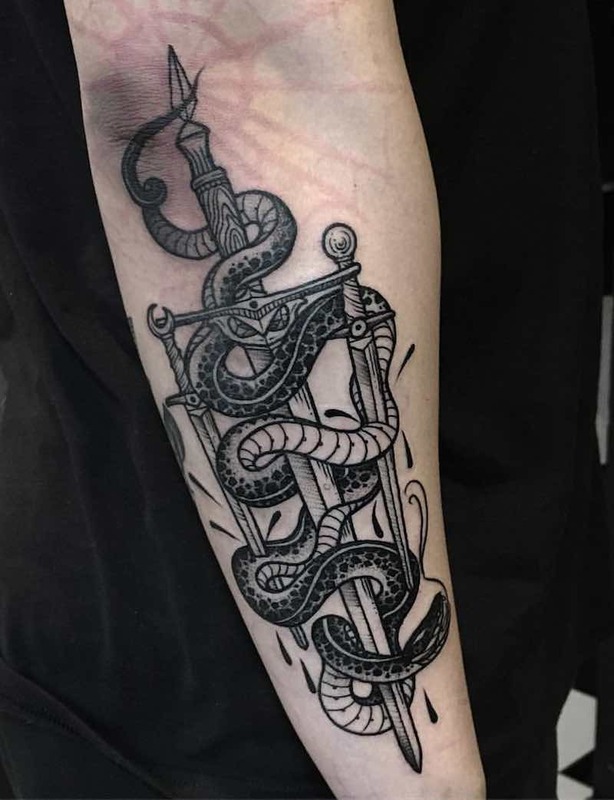 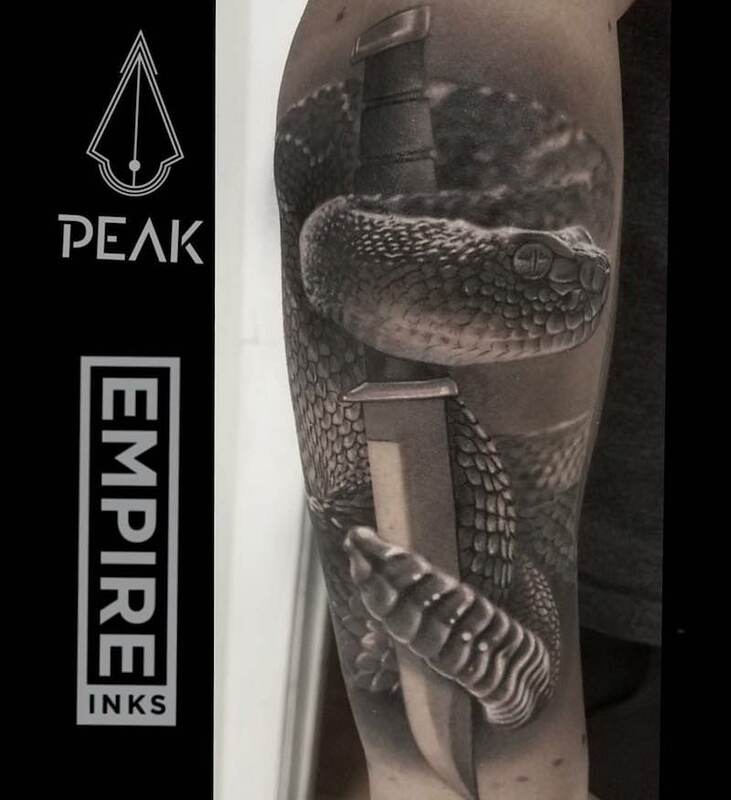 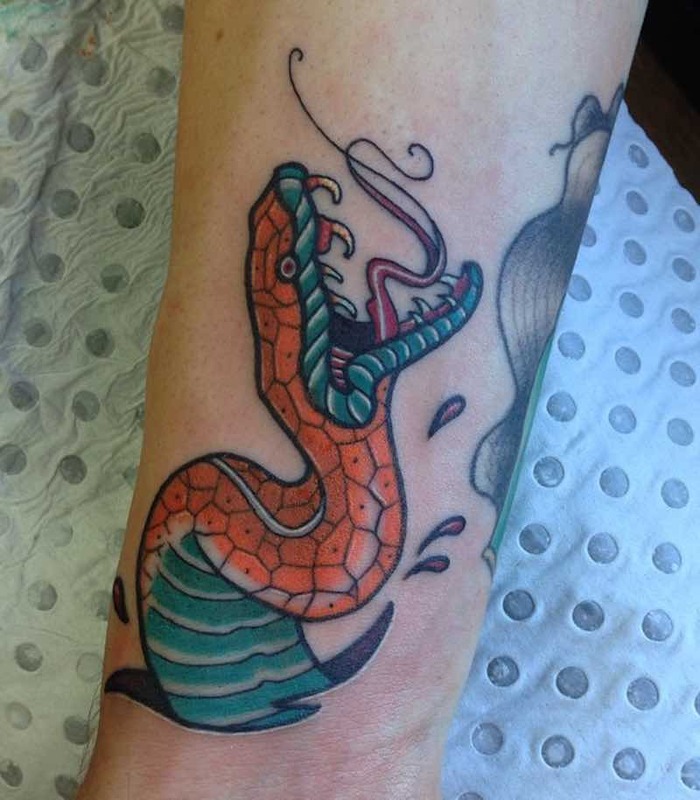 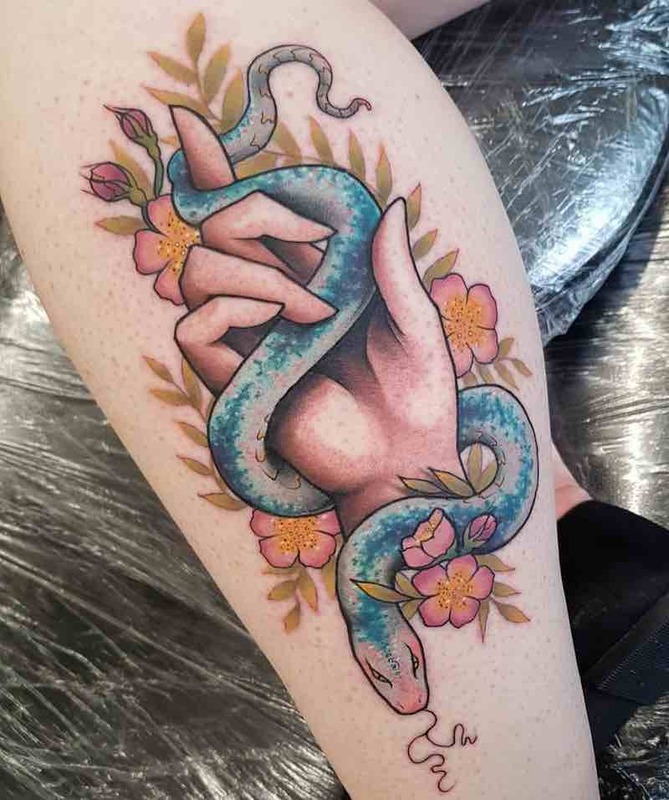 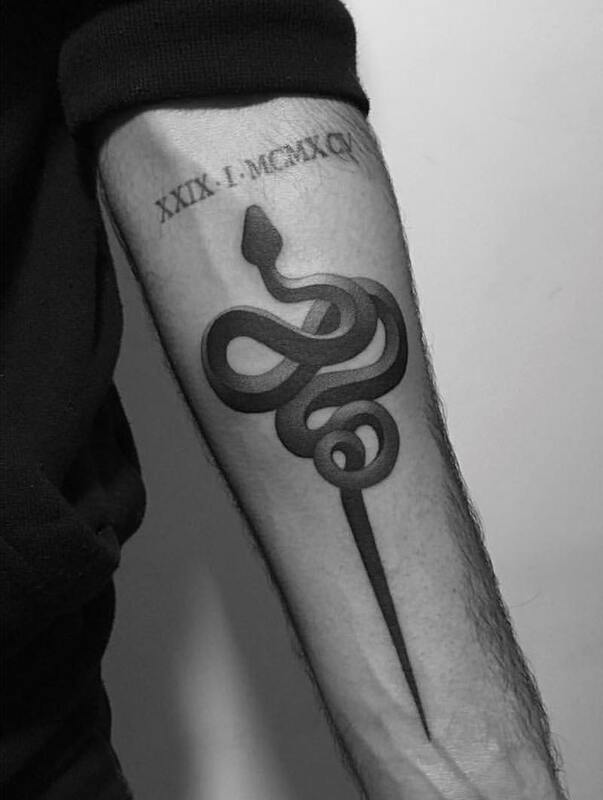 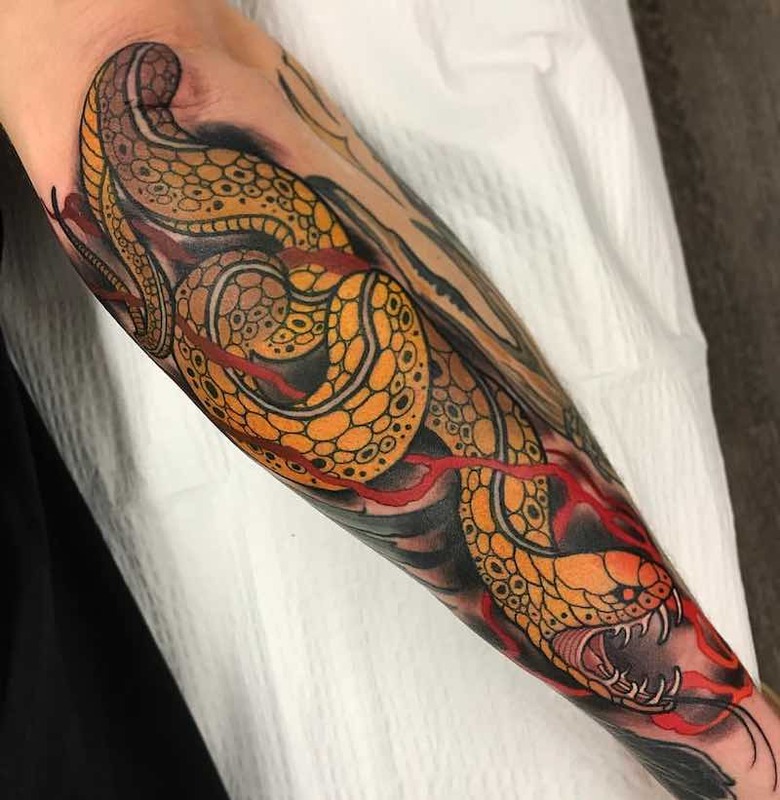 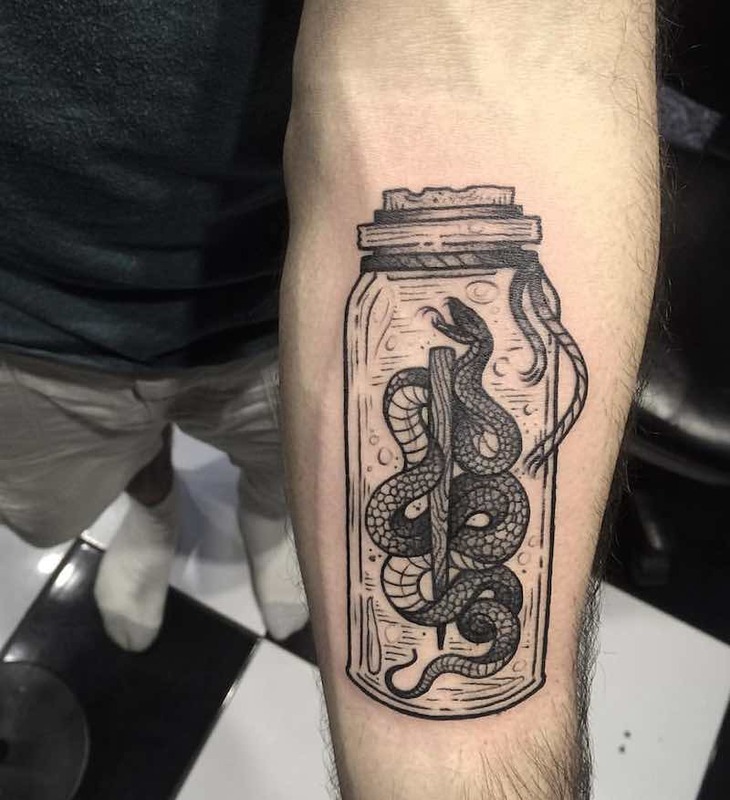 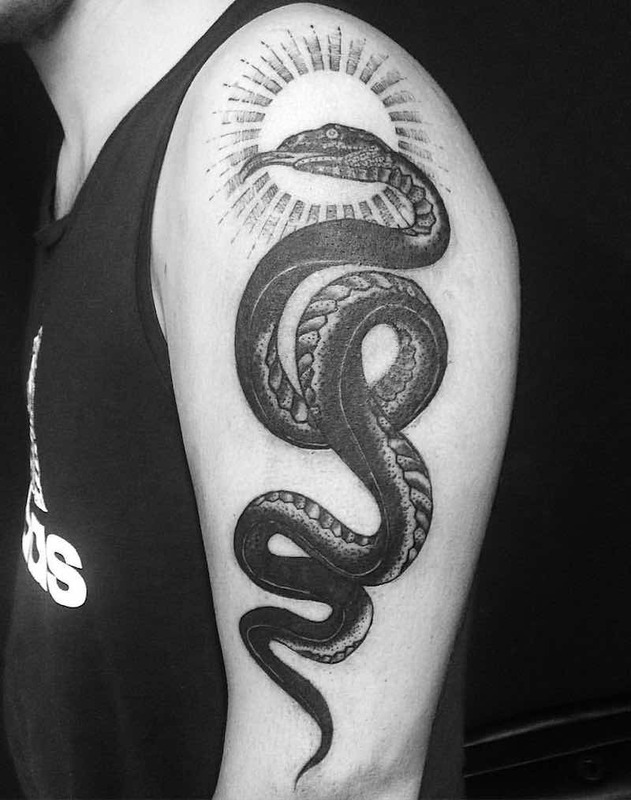 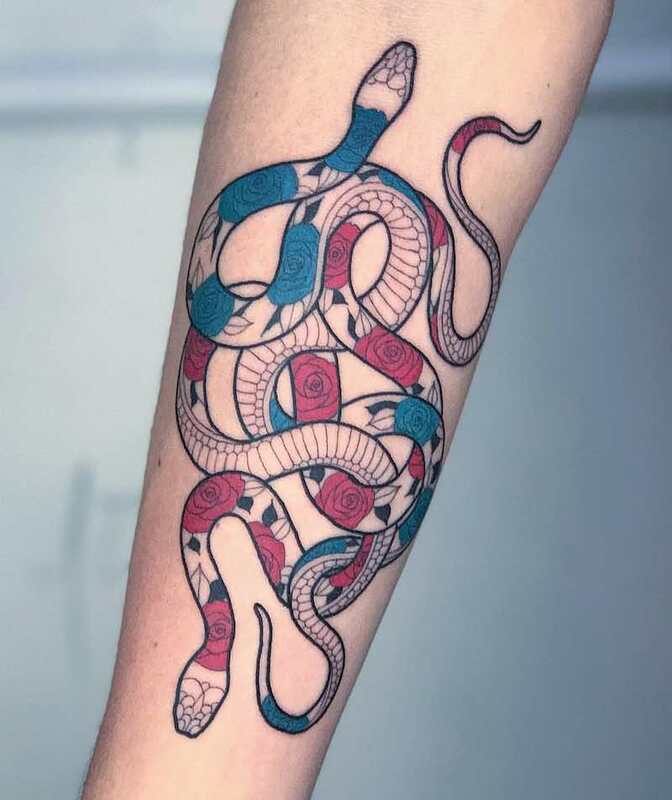 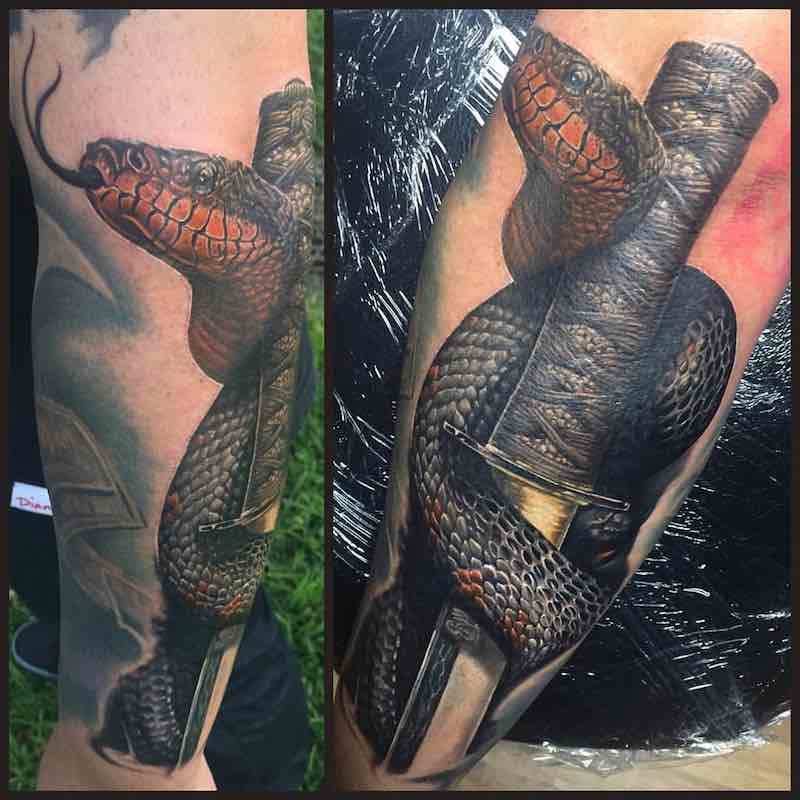 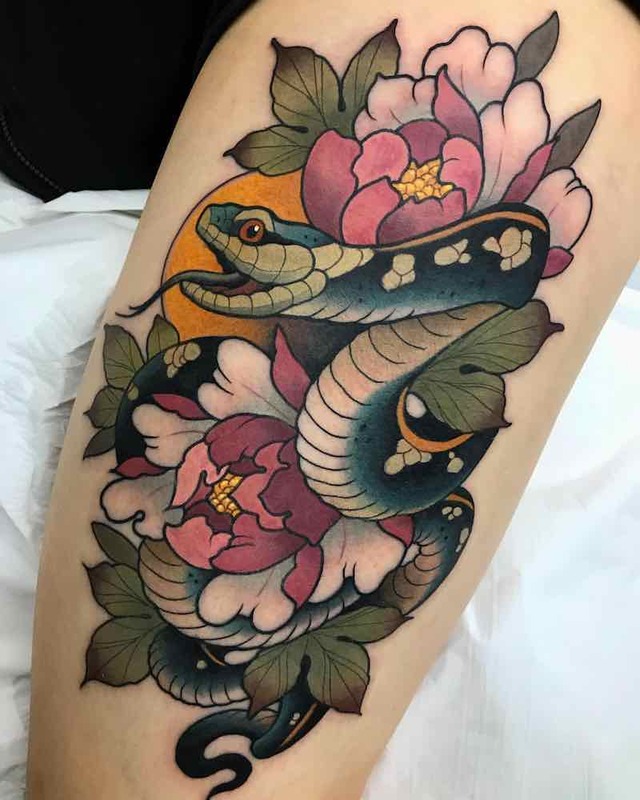 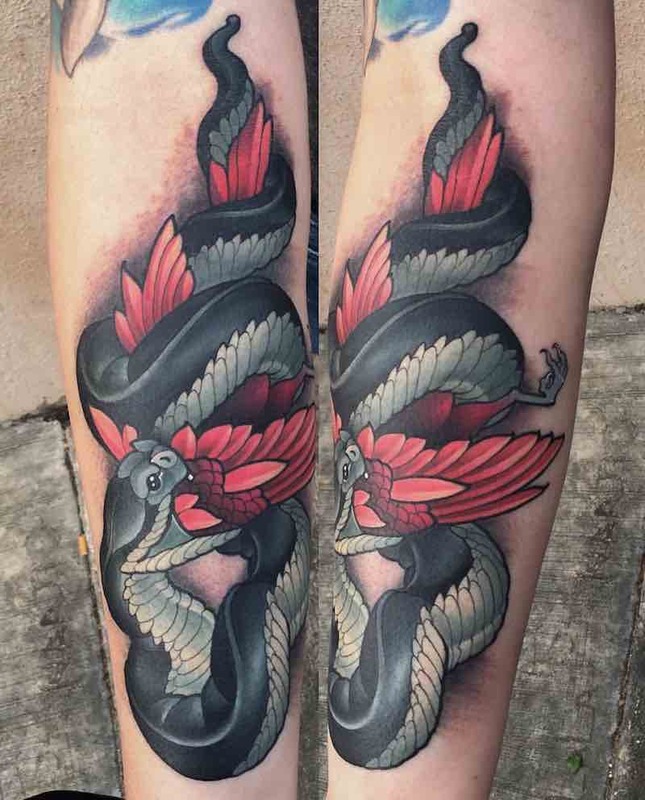 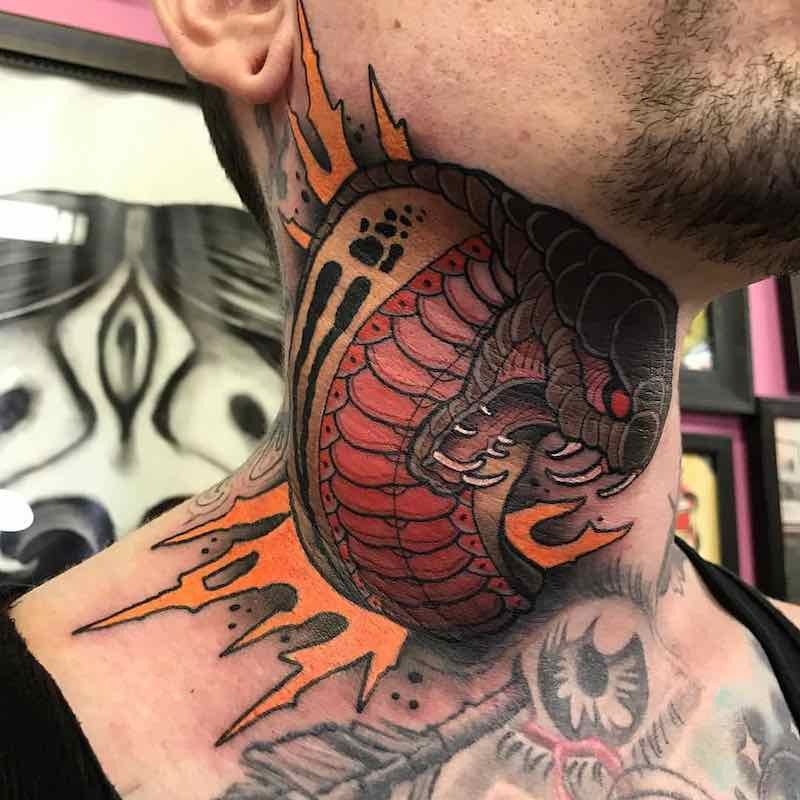 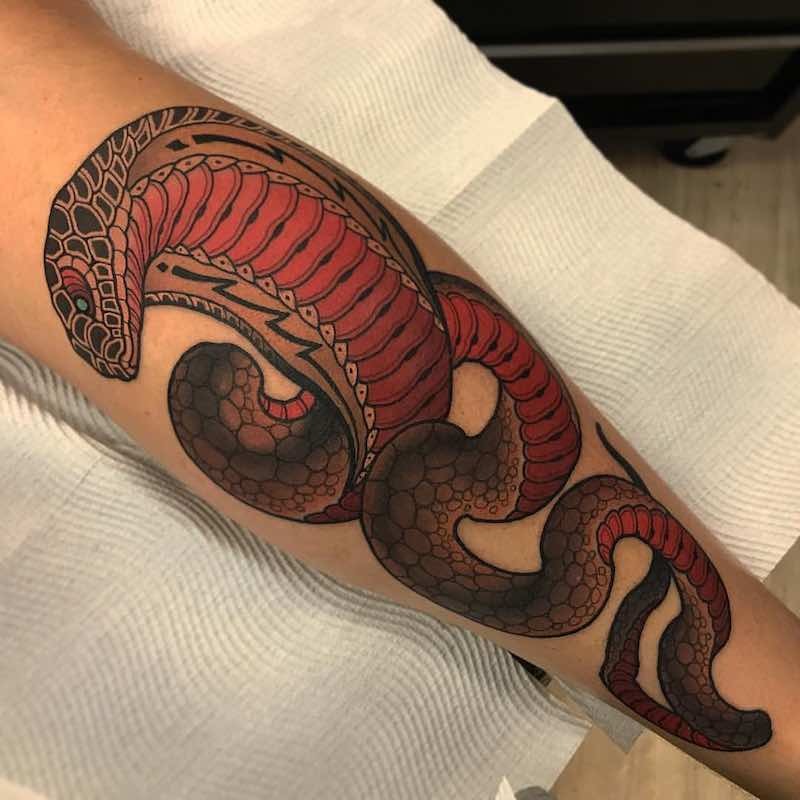 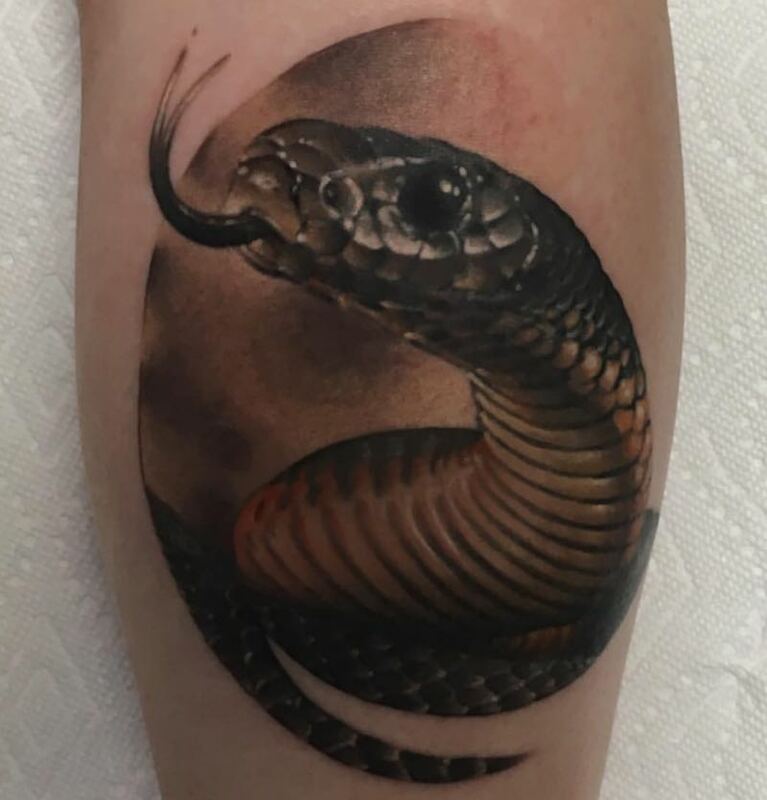 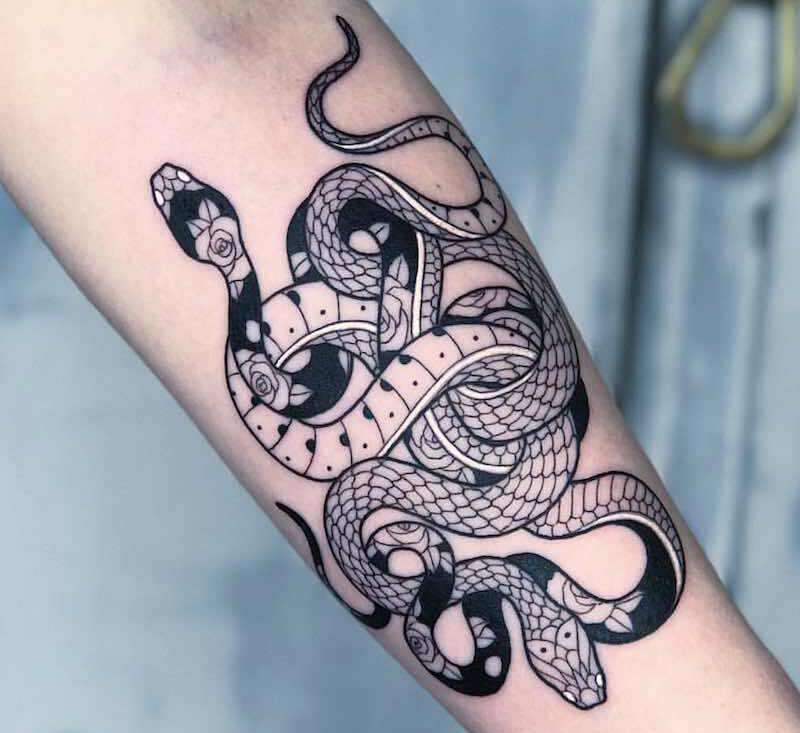 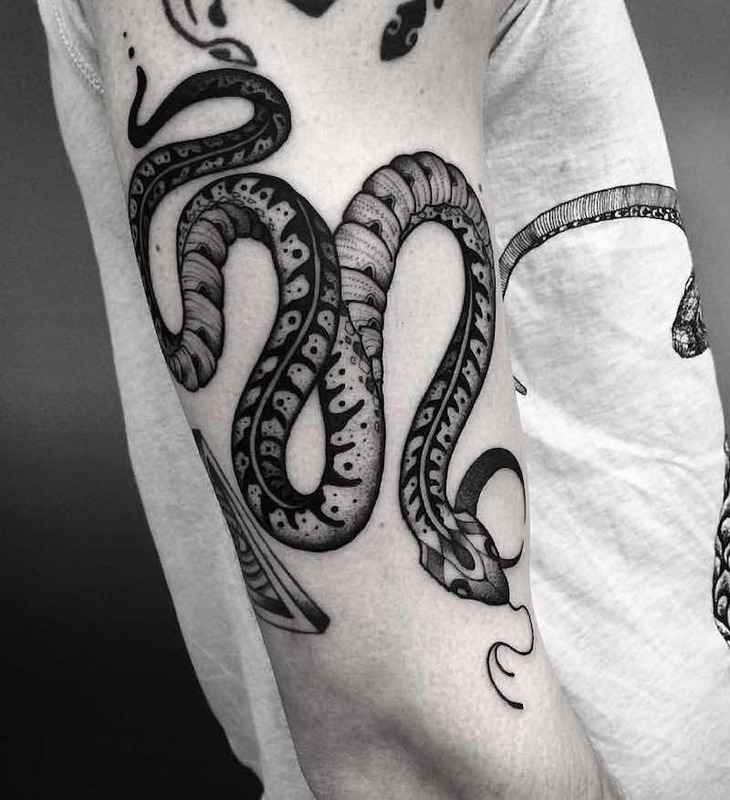 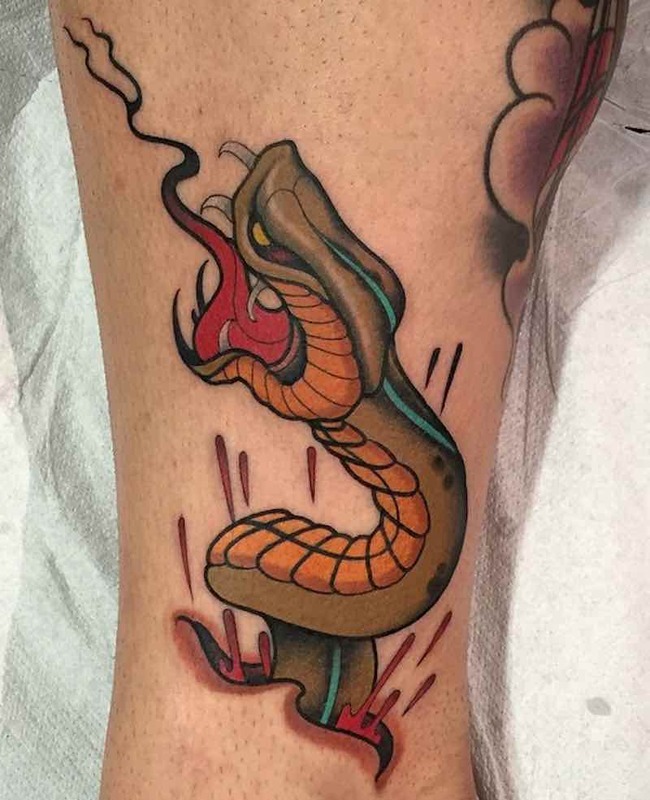 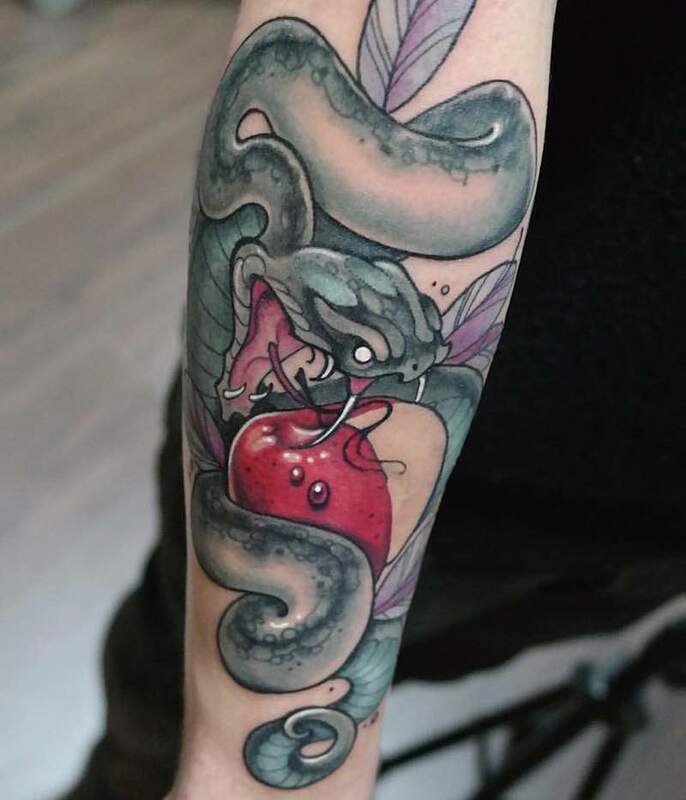 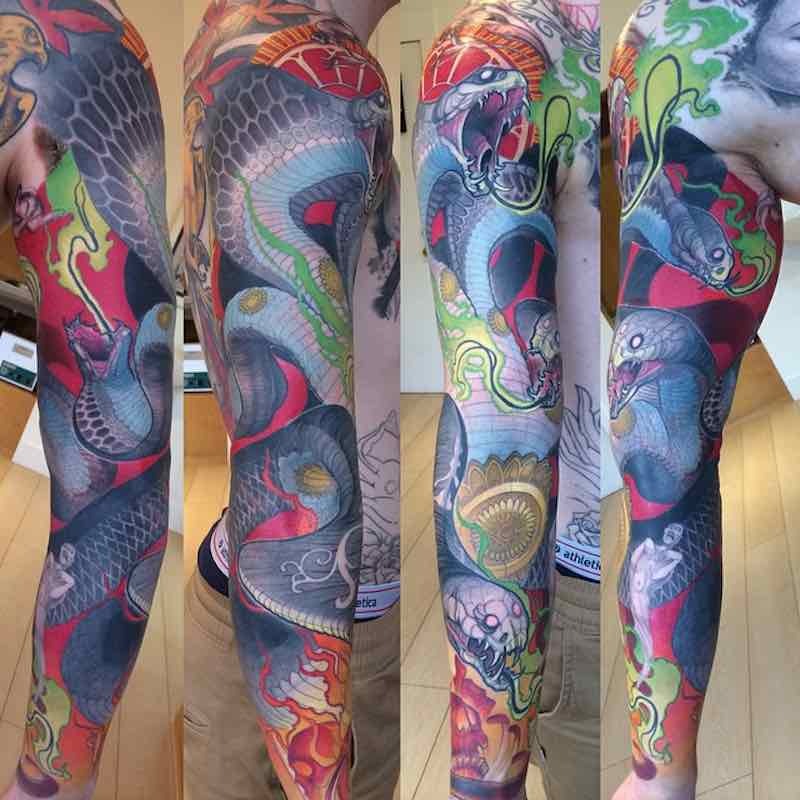 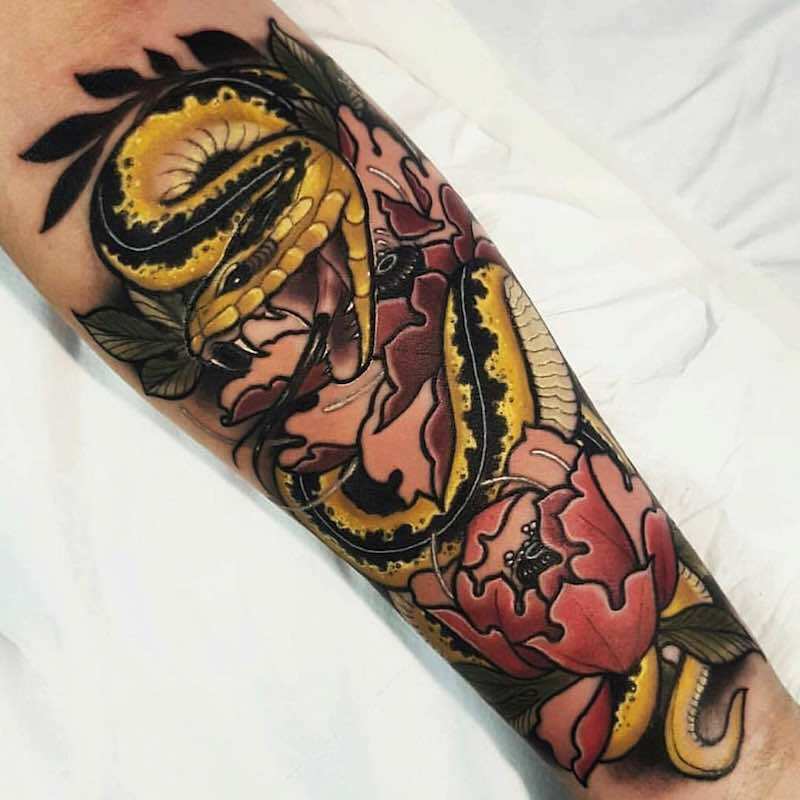 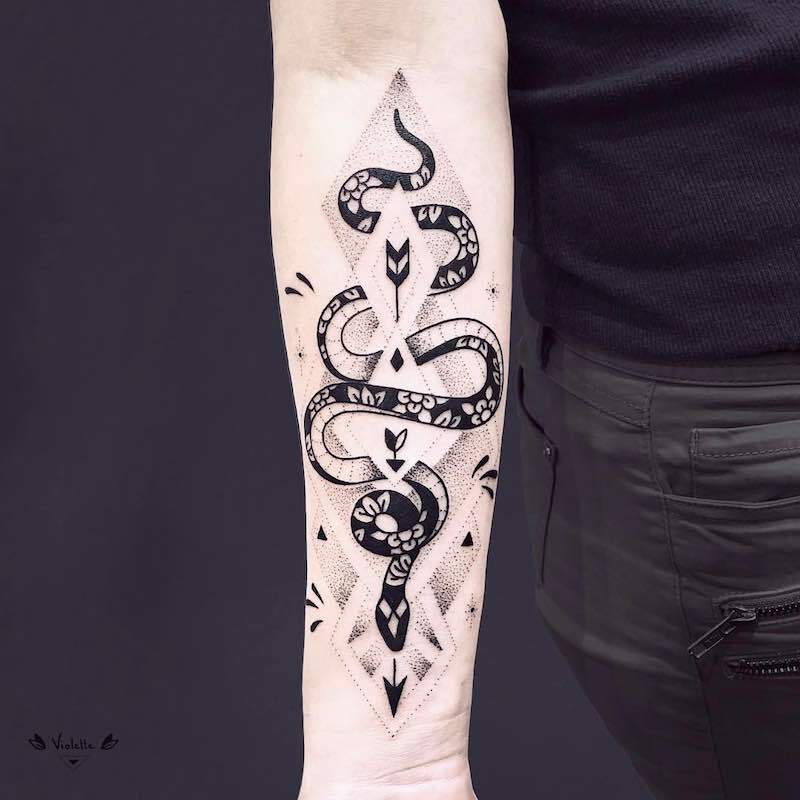 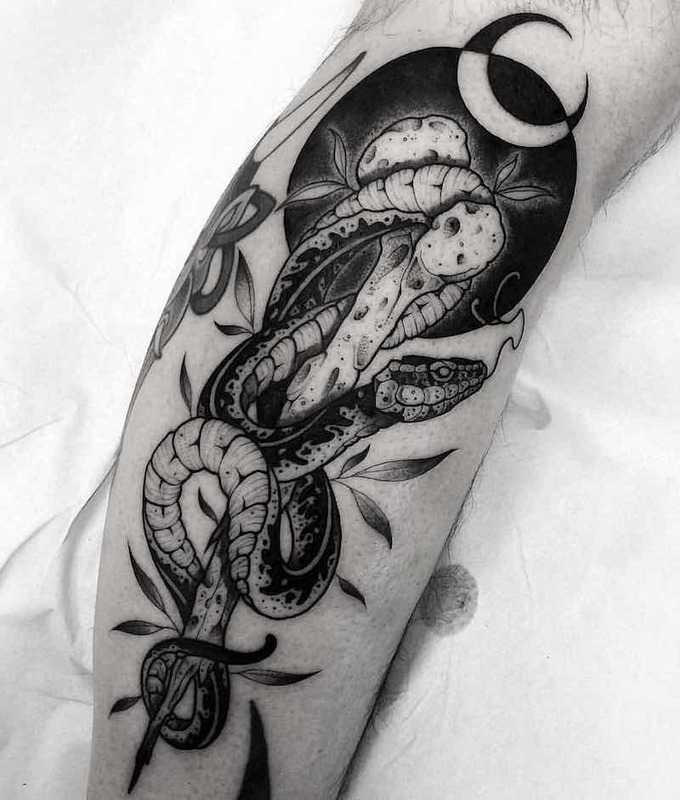 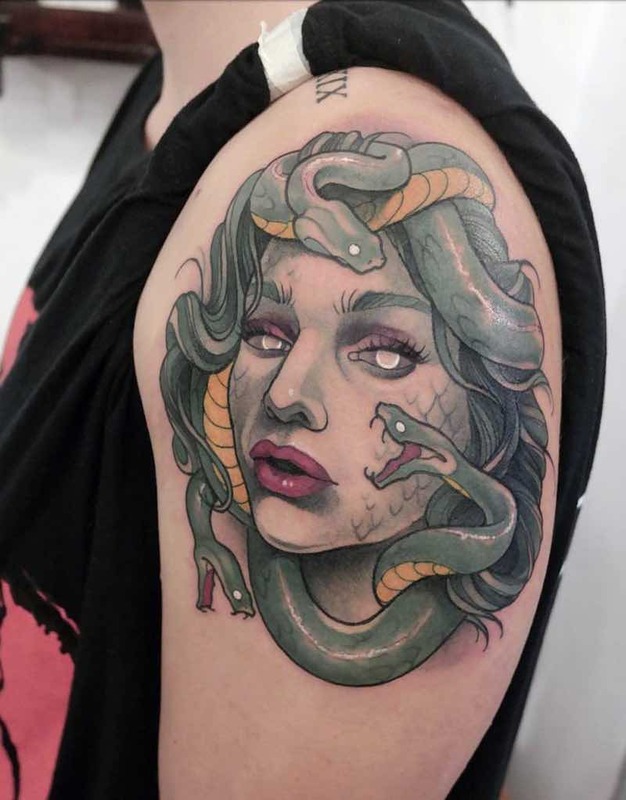 Milan Based artist Mirko Sata specializes in snake tattoos and does an amazing job at it, each snake design has its own original look to it and are executed very well. 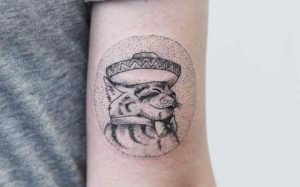 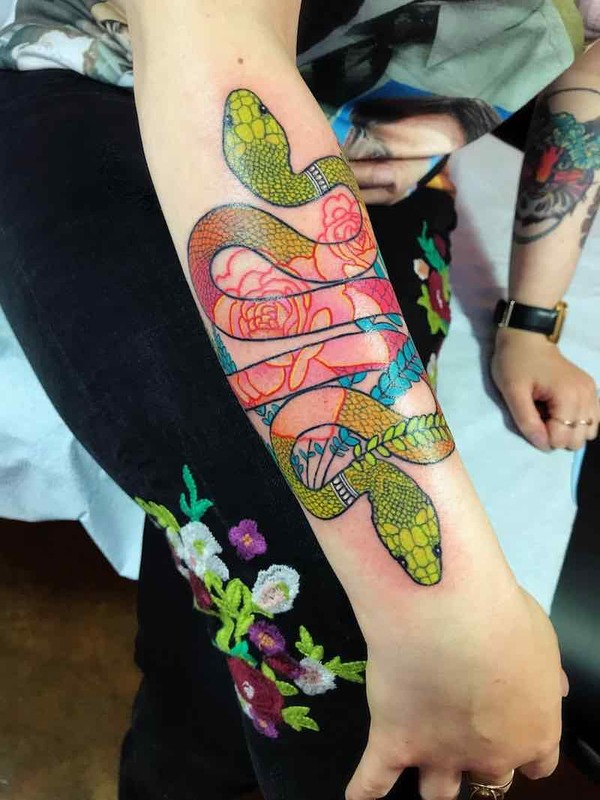 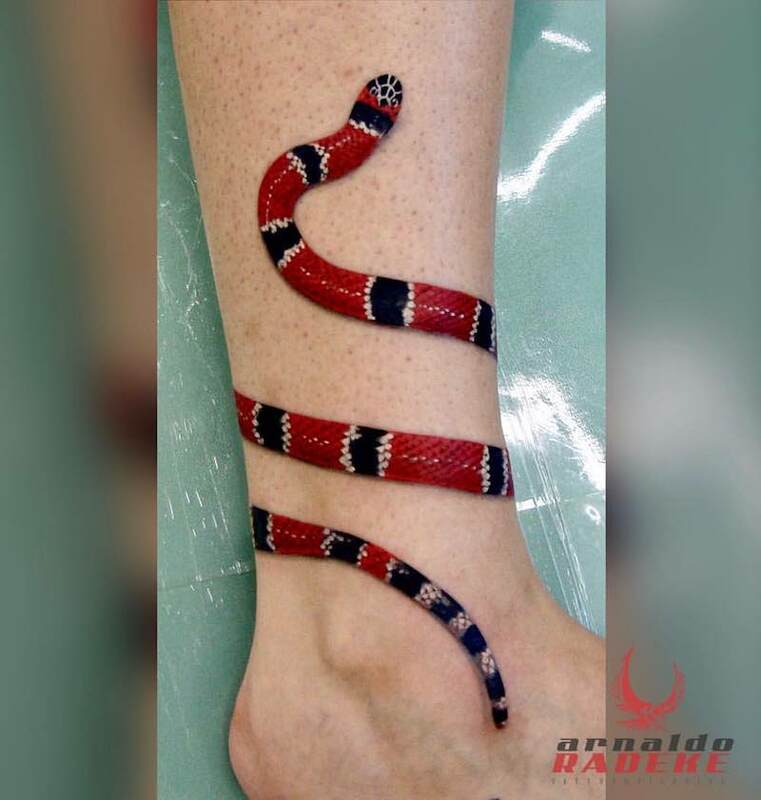 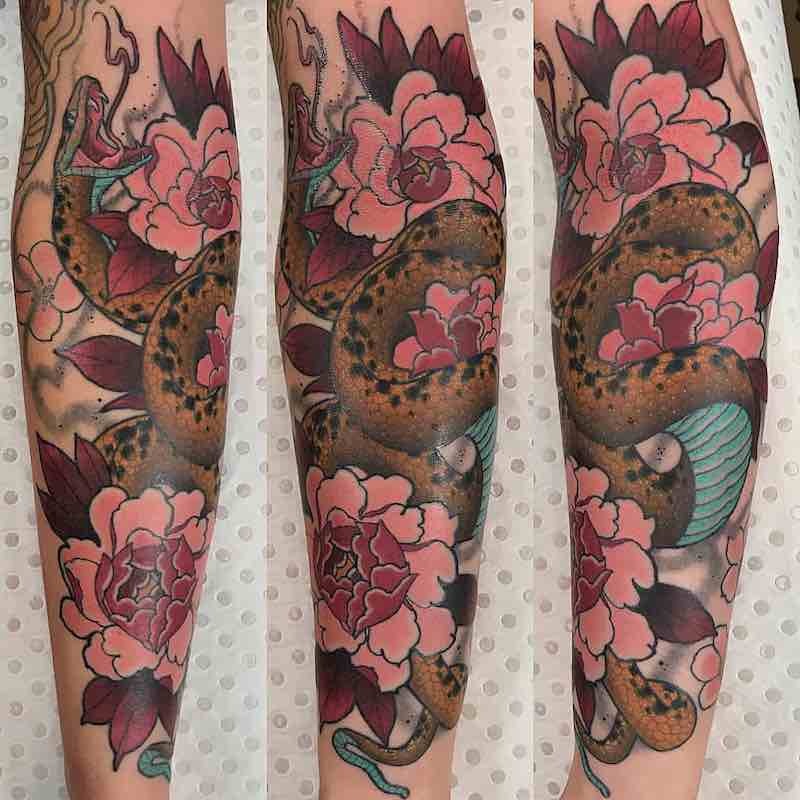 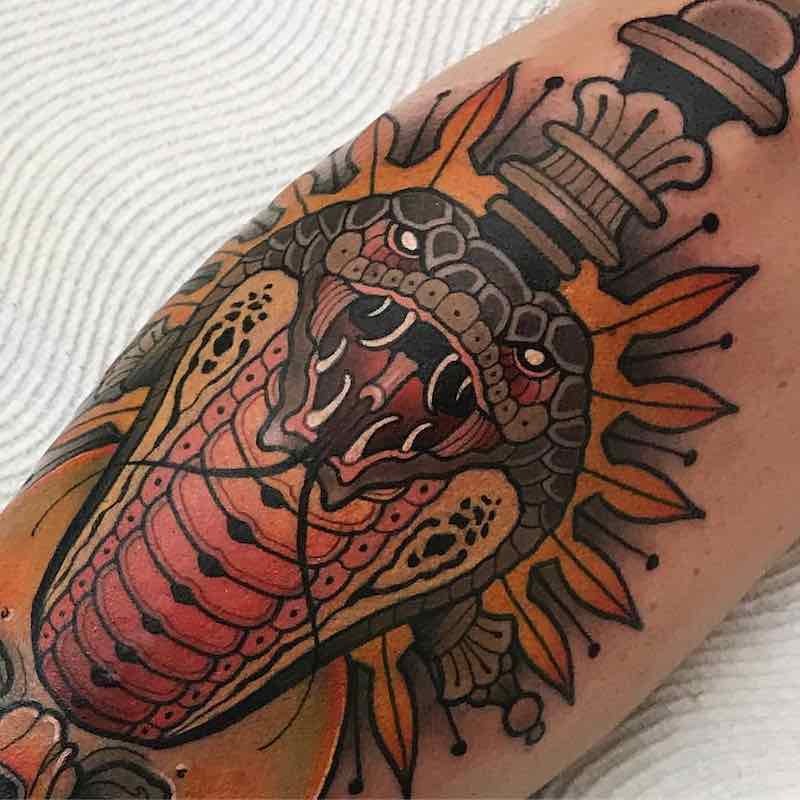 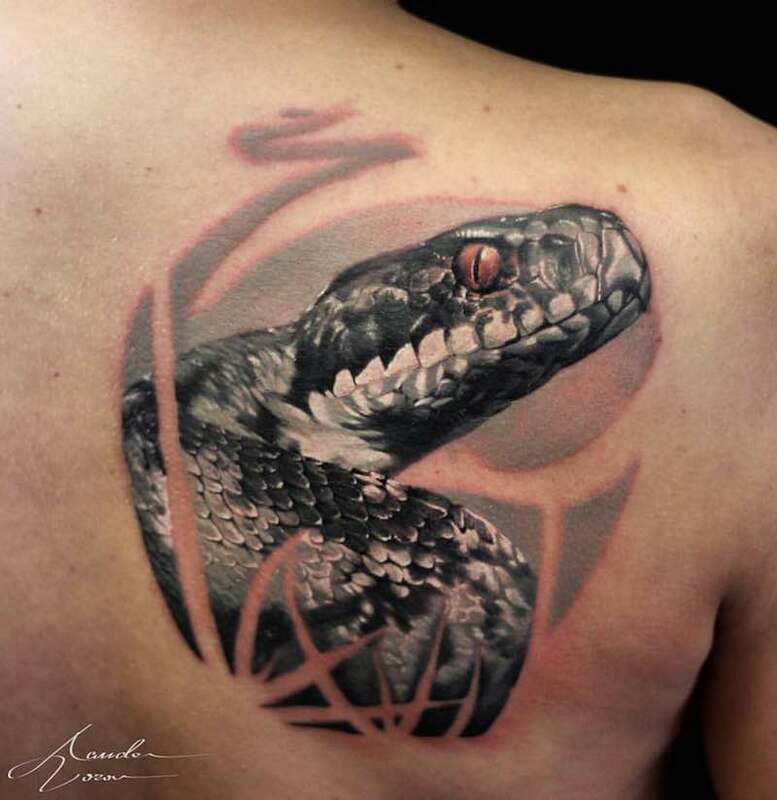 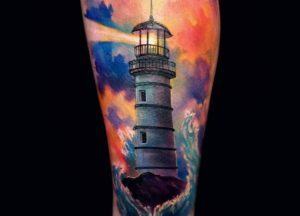 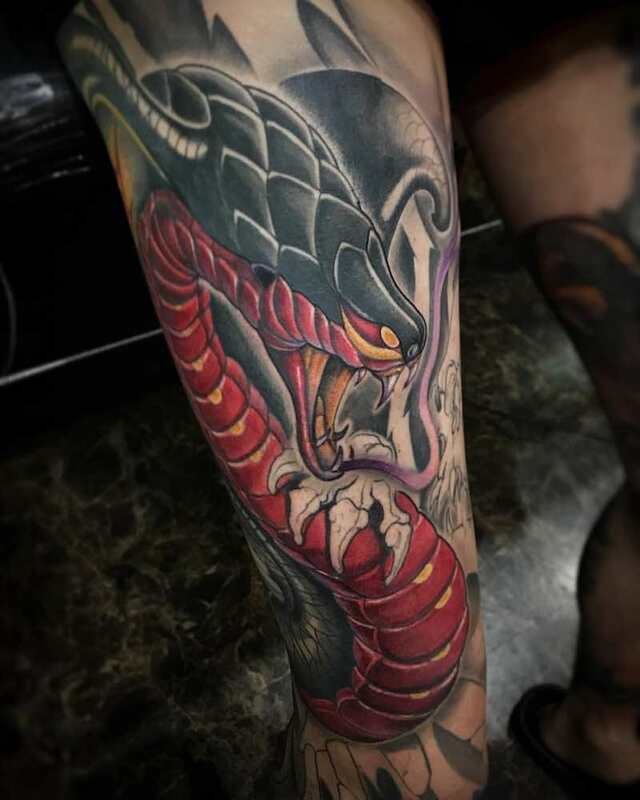 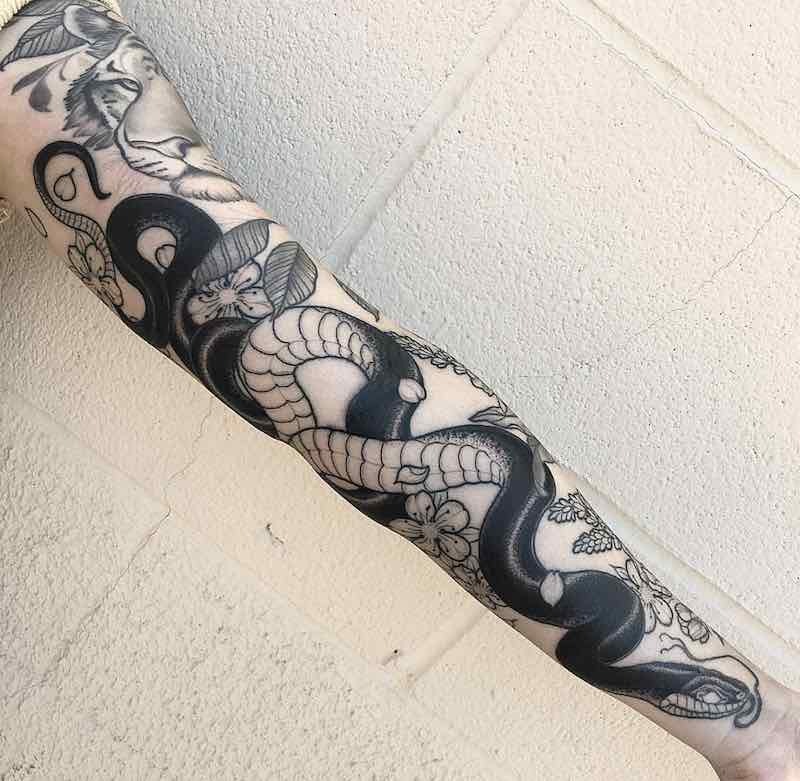 A snake tattoo can mean many things depending on the wearer and what it can mean to them, here are the most common snake tattoo meanings. 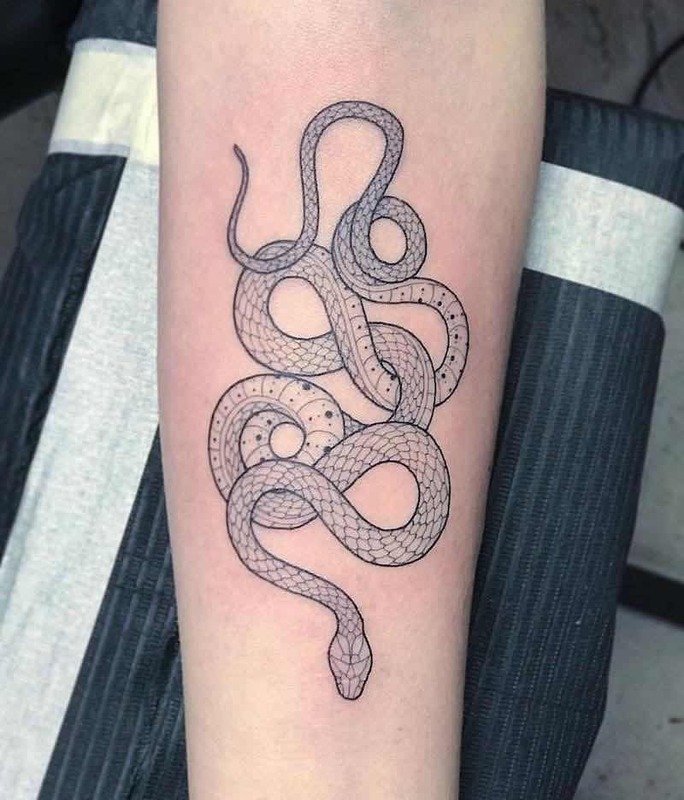 -A new start, from the snake that sheds its skin while it grows, a snake is in a constant state of growth so it will shed its skin throughout its entire life. 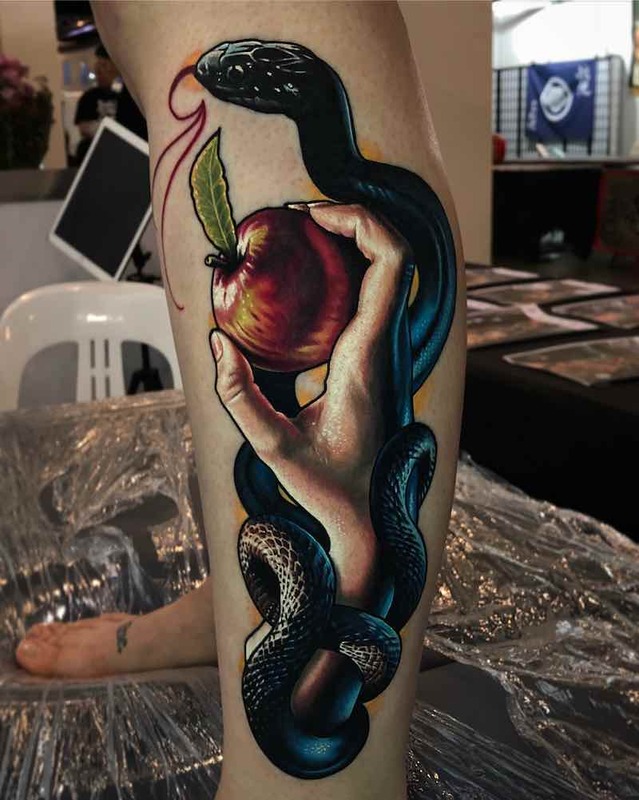 -Sin and Temptation, from Christian origins where a snake tempted Eve into biting the forbidden apple. 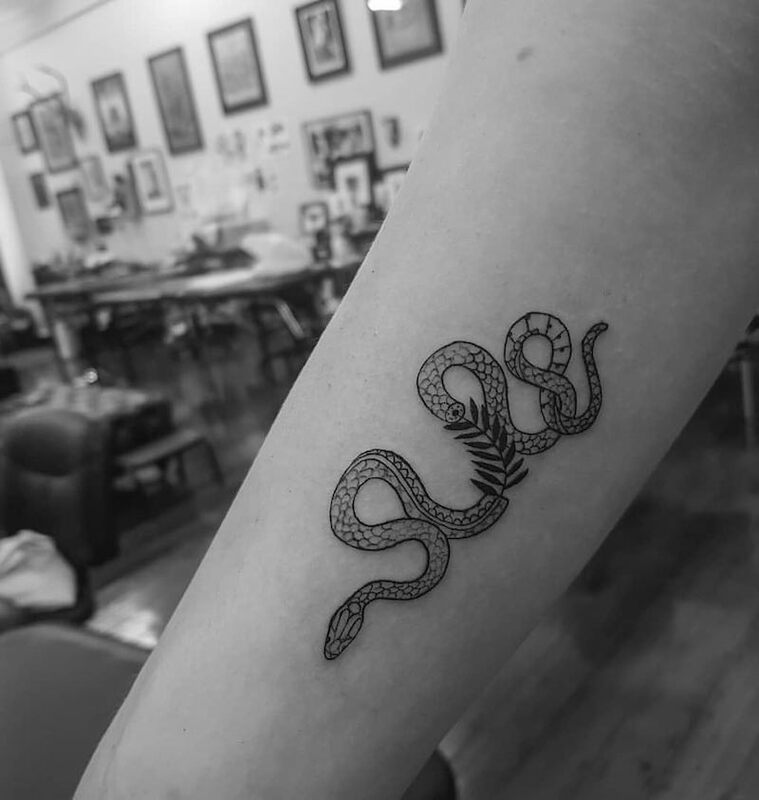 The snake has since been a symbol of evil. 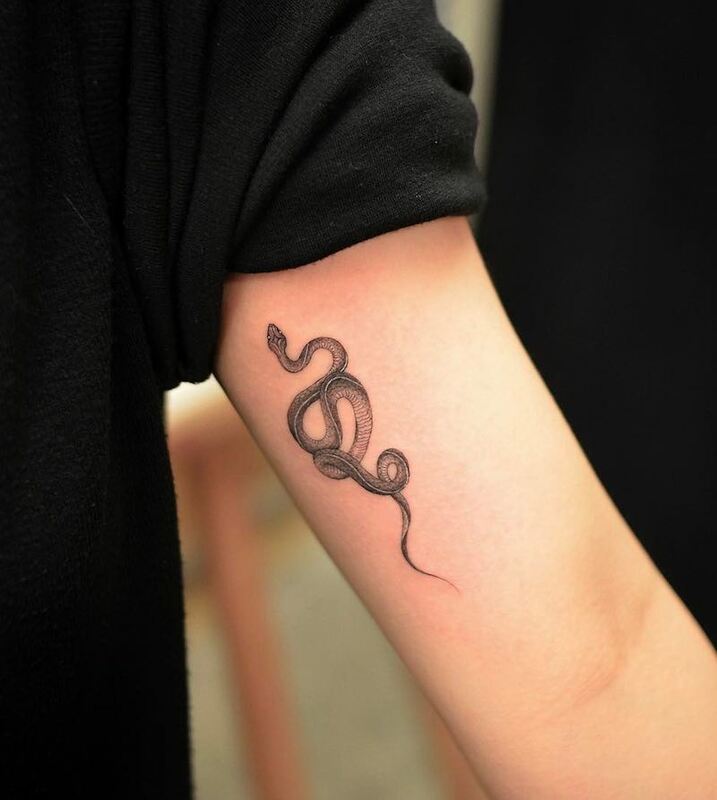 -Wisdom, the snake in the Chinese zodiac signs represents a wise and cunning animal.